Theodore Dreiser was born on August 27, 1871 in Terre Haute, Indiana. Part of a large German-American family, and the ninth of ten children, his childhood was marked by poverty. His father, John Paul, had previously been a cotton mill manager, but a series of unfortunate accidents caused his fortunes to dwindle. In 1864 the cotton mill burned down, and during the reconstruction John Paul was hit in the head with a beam. He never fully recovered and as a result became deeply religious. He further was soon cheated by his business partners. The family was forced to move from one Indiana town to another in order to survive. 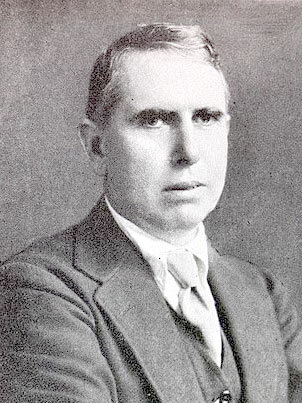 Theodore Dreiser later resented his father for the family's poverty. At the age of fifteen Dreiser moved to Chicago and held jobs washing dishes, clerking a hardware store, and tracing freight cars. Dreiser fortunately was able to escape when a former teacher offered to send him to Indiana University at Bloomington for a year. He soon became interested in journalism, but returned to Chicago and worked as a bill collector, real estate clerk and laundry-truck driver. Dreiser first entered the newspaper world by dispensing toys for the needy at Christmas for "The Chicago Herald". He subsequently got hired as a cub reporter with "The Chicago Globe" and later went to St. Louis as a feature writer for "The Globe-Democrat". Things took a turn for the worse when Dreiser accidently reviewed a theater performance that was actually never performed. He left St. Louis and moved to Pittsburgh, working with "The Dispatch". With a secure job again, Dreiser married Sara White after meeting her at the Chicago World's Fair. The couple moved to New York where he received a job as a magazine editor. At the suggestion of his editor friend Arthur Henry, Dreiser began writing his first novel, the result of which was "Sister Carrie". Dreiser continued his career by publishing "The Financier" (1912) and "The Titan" (1914), both of which began his trilogy about the rise of a tycoon. Fame arrived with his "An American Tragedy" (1925), a story based on newspaper accounts of a sensational murder case. This novel was turned into a Broadway drama and later sold to Hollywood. With his new success, Dreiser took a trip to Russia but came away unimpressed. He chronicled his observations in "Dreiser Looks at Russia" (1928). Dreiser became a communist in later years, causing him to focus on writing political treatises such as "America is Worth Saving" (1941). Unable to write well towards the end of his life, he moved to Hollywood in 1939 and supported himself by the sale of film rights of his earlier works. He died there in 1945 at the age of seventy-four.